Synoptek offers IT consulting, managed services, cloud services, and on-premise IT management as well as 24×7 end user support for improving business results. 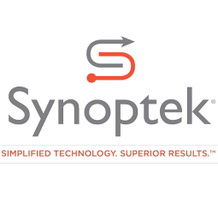 With over 525 employees and more than 2,000 active customers in the United States and abroad, Synoptek provides comprehensive information technology management services and support. Synoptek leverages ITIL service management processes, customer-focused IT architecture, and operational excellence to deliver uninterrupted services demanded by today’s market.